What is an Independent Child Custody Evaluation? What does it means for a forensic psychologist to perform a court ordered psychological evaluation for child custody. Cover story from November 2015 Tennessee Bar Journal. Citation: 51 Tennessee Bar Journal, 11 (Nov. 2015). 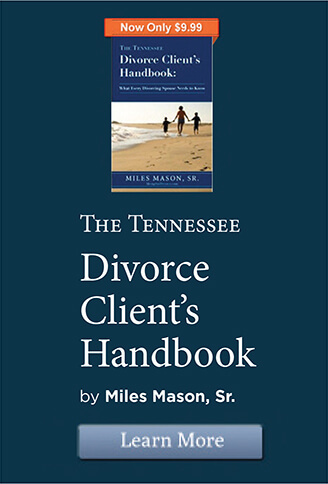 Copyright 2019 Tennessee Bar Journal and Miles Mason Family Law Group, PLC. Reprinted by permission. In Tennessee, independent child custody evaluations are ordinarily conducted by licensed psychologists and psychiatrists. These professionals are asked to conduct a fair and neutral evaluation for the purpose of assisting the judge. “Independent” means the psychologist or psychiatrist did not previously treat or counsel anyone in the family being assessed; the evaluator’s client is the court, not the child, not a parent, not both parents. Because independent child custody evaluations are not confidential, there is no doctor-patient or therapist-client privilege to protect private communications with parents, children, and collateral informants. Furthermore, all of the data collected by the evaluator is discoverable by the parties’ attorneys. Should a custody hearing or trial take place, the evaluator ordinarily testifies on direct examination as an expert witness and is subject to cross-examination. 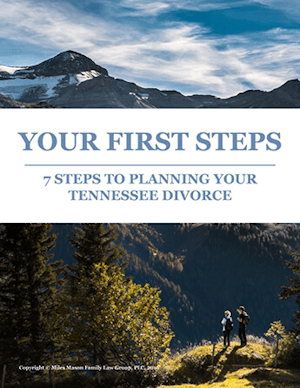 As in other states, independent child custody evaluations are used in Tennessee’s courts to assist the judge in making a final custody determination in a divorce, annulment, action for separate maintenance, or custody case involving unmarried parents. The evaluator prepares a written report for the court, the parents, and the parents’ attorneys. The judge could order a child custody evaluation to assess whether there has been psychological harm to the child (for example, because of a parent’s abandonment, domestic violence, physical or emotional impairment, drug or alcohol abuse, or interference with the other spouse’s parenting time). Whether the parents submitted a parenting plan agreement for court approval or the court came up with its own parenting plan sua sponte, the judge is the final arbiter on placing a child with one parent or the other. As independent child custody evaluator, the mental health professional is an advisor to the court, not a final decision-maker. What Is in the Child’s Psychological Best Interest? No Tennessee judge makes a custody determination in a vacuum. Expert witness testimony (such as the independent child custody evaluator’s), lay witness testimony, and the parties’ testimony, along with documentary evidence, are offered as evidence to assist the court in placing the child. The mental health professional as independent child custody evaluator is charged with assessing the parents and evaluating the family for the purpose of determining the child’s psychological best interest. Having assessed each party’s parenting capacity and those family factors which could impact the child’s psychological best interests, the evaluator’s report may be given substantial weight by the Tennessee court. When executed properly, the evaluation can be a key evidentiary component and quite influential. But the report is not dispositive and does not settle the child placement issue – that is exclusively the judge’s role in the family law case. The psychologist or psychiatrist conducting an independent child custody evaluation assesses which of the two parents is the best fit as Primary Residential Parent (PRP), or primary custodian, by focusing on each party’s parenting capacity in light of the child’s “psychological and developmental needs.” Be mindful that the parent who is believed to be the best fit for one child is not necessarily the best fit for the child’s sibling. Evaluations can be complicated and time is always of the essence. Children need to be placed with one parent or the other. Although assessments of this nature and complexity are always under time pressure, the evaluator should never cut corners and should always remain fair and neutral. Anticipate that each parent’s attorney will have a legal theory, or legal strategy, that reasonably dictates that party’s approach to the independent child custody evaluator’s report. Say, for example, that the report put forth the mother’s addiction to drugs or alcohol as a significant reason why she lacks parenting capacity to be a good fit as PRP. The mother’s attorney might counter the expert’s opinion with a legal theory that excessive drug or alcohol abuse was the direct consequence of a dysfunctional and abusive marriage and, now that the parties are separated, the mother is recovering and abstaining from drugs or alcohol. Every mental health professional should be comfortable with the American Psychological Association’s Guidelines for Child Custody Evaluations in Family Law Proceedings (APA Guidelines) before agreeing to conduct an independent child custody evaluation for the Tennessee court. The APA Guidelines, although aspirational, often form the best practice by which the evaluator will be held in court. By contrast, the APA Ethical Standards are mandatory in Tennessee, setting forth enforceable rules. Despite the aspirational vs. mandatory distinction, the attorneys in the family law case will expect the mental health practitioner to closely adhere to the APA Guidelines. The APA Guidelines narrowly apply to custody evaluations in divorce, legal separation, annulment, and between unmarried parents. The APA Guidelines are not state specific; they apply broadly to all child custody evaluations, regardless of jurisdiction. More specific to Tennessee independent child custody evaluations, the psychologist or psychiatrist should focus on three areas only: decision making, caretaking, and access to the child. In Tennessee child custody law, those same lines of inquiry are known as legal decision-making, parenting time, and permanent parenting plans. Although independent child custody evaluation is not a specialization per se, credentials and experience do matter. The evaluator’s curriculum vitae is important, it is also evidence. As evaluator, the psychologist or psychiatrist must demonstrate an ability “that reflects contextual insight and forensic integration … testing and interview skills.” He or she must have unique skills, qualifications, and specialized training. Generalized competency as a clinician assessing parents, children, and families is not enough. Psychologist and psychiatrist alike should have sufficient legal training in Tennessee child custody, legal decision-making, parenting time, and best interests of the child legal standard. Continuing education is necessary to keep pace with changes in Tennessee law and mental health that impact how evaluations are conducted and how data are interpreted. Of course, if court-appointed, then the psychologist or psychiatrist has already been vetted. But if parties agree on evaluation, then credentials must be ascertained. The attorneys in the case will want to validate the mental health professional’s expertise. When a parent has a special problem (drug addiction, for instance), the expert should have additional knowledge, expertise, and training in that specialized area. Is the psychologist or psychiatrist trained in the specific parenting issue that concerns the parties? In addition to substance abuse, those issues include domestic violence, child abuse, child neglect, alienation of a parent, and relocation of a child. Parents, and even some less-experienced attorneys, do not always grasp the concept that evaluations result in forensic work product, while treatment results in clinical work product. The mental health professional’s approach to each is quite different. As a general rule, the psychologist or psychiatrist who is asked to perform an independent child custody evaluation should not currently be treating, or have treated in the past, a party or child in the family law case. Understanding why the mental health professional’s role in the family law case should be either evaluator or clinician, but not both, is essential. When a parent (or parent’s attorney) requests a child custody evaluation, or the parties agree to an evaluator, as a candidate it is incumbent upon the mental health professional to clarify precisely what he or she is being hired to do. That is, either provide treatment as a clinical therapist or conduct an independent child custody evaluation for the court’s use. What would motivate a parent to obtain an independent child custody evaluation? Consider this example. The father who offers expert testimony from a truly independent child custody evaluator – whose testimony supports the father’s position on custody – will generally have a stronger case than the father who hires a clinical therapist to attempt independent evaluation. A clinical therapist could still take part in the evaluation process. Under appropriate circumstances, a clinical therapist might communicate verbal information to the evaluator and, in that way, assist with the best psychological interests of the child analysis. Mirroring their academic and professional differences, the functions and responsibilities of psychiatrists and psychologists vary substantially as independent child custody evaluators. If the evaluator is a psychologist, then he or she should closely follow the APA Guidelines in conducting the evaluation. To dispel any doubt, whether on direct examination or cross examination of an expert witness, the attorneys in the case will use the APA Guidelines as a roadmap to challenge how the psychologist conducted the independent child custody evaluation. Psychologists may (but do not necessarily have to) also use the DSM-5, discussed below. When a psychiatrist, as expert witness, is asked to determine each parent’s mental health, the psychiatrist does not ordinarily make recommendations on child custody. An exception to that is if the parent has “serious mental health problems, drug or alcohol addictions, or abhorrent behavior…” in which case the psychiatrist may make child custody recommendations. Additionally, the psychiatrist should refer to the American Academy of Child and Adolescent Psychiatry’s Practice Parameters for Child Custody Evaluation. The Academy’s basic parameters contain guiding principles and recommendations that should be considered by psychiatrists (or mental health professionals generally) who perform “custody evaluations and consult with judges and attorneys” in family law cases. Although the Academy’s parameters are being revised, the 1997 version is still an excellent resource for those who plan to conduct child custody evaluations. When the DSM is utilized to diagnose a parent and in preparing the evaluator’s report, one important question must be answered: Is the psychiatric diagnosis meaningful in the sense that it affects that party’s parenting capabilities? If “Yes” and the DSM factors lead to a diagnosis that is significant to the party’s parenting capability, then the diagnosis should be included in the report. The diagnosis (internet gaming disorder, for example) could affect parenting time as well as legal decision-making. If “No” and the DSM factors lead to a diagnosis that is not important to the party’s parenting capability, then it should not be included in the report. Just about everyone could be diagnosed with something at some point or another. But if that diagnosis has no effect on parenting, then it is irrelevant to the child placement issue that the court must ultimately decide. Whether included in the report or not, the diagnosis remains part of the discoverable record. Either party’s attorney could investigate further as to why the diagnosis was or was not included. Because the evaluation report is so very important to the child custody case, experienced Tennessee custody attorneys will seek to identify weaknesses in the report. The attorneys will know the DSM (or will obtain a consultant psychologist or psychiatrist to interpret the DSM for the attorney) and will use the DSM on direct examination and cross examination as a roadmap to attack both the assessment process and the diagnosis. F: relationship to global developmental delay or autism spectrum disorder. Establishing the boundary with no mental disorder. In many instances a competent child custody evaluation may be conducted, probative factors can be assessed, and expert opinion offered without necessarily rendering a Psychiatric (DSM) diagnosis. The party’s attorney will assume a line of inquiry into the facts relied upon by the expert in supporting the report findings. The attorney will compare the expert’s deposition testimony to that of the report for conflicting statements. The attorney will focus on those factors which led to the expert’s specific diagnosis and will identify anything resembling a subjective interpretation. In balancing the evidence, subjective interpretations are judgment calls which weaken the overall value of the report to the court and, correspondingly, can weaken the reputation of the psychiatrist or psychologist as an expert witness capable of conducting a truly objective independent child custody evaluation. When a case is referred to an evaluator, there will be a referral question on the final child custody determination. As the first step, the psychologist or psychiatrist must design the evaluation to answer the referral question for the court. This requires experience and special knowledge of the evaluation process. Delineating the scope of the evaluation will not only save on wasted time and effort, but it will go a long way towards maintaining the mental health professional’s credibility while limiting liability. Even if the evaluator has a reasonably clear idea of what is being sought, he or she should still ask the judge to confirm the scope of the evaluation in a court order or, alternatively, ask the parties to stipulate to the scope of evaluation. The second step in the evaluation process is to obtain “appropriately informed consent” and voluntary assent from every participant: parents, child, siblings, and collateral informants. Parents need to know that they are being evaluated, which means being tested, completing parenting questionnaires, and being interviewed. It means a written report and the expert opinion of the evaluator. In addition to the evaluation process and their role in it, parents should be told what the evaluation will cost, that the evaluator is not acting as advisor or therapist, that the report might not bolster either parent’s position on custody, and that confidentiality is limited given that the court is the client, not they. Age and maturity generally dictate how the mental health professional explains the evaluation process to a child, nonetheless consent and assent are required. A child needs to understand that participation is voluntary, which may be more difficult to convey to a three- to seven-year-old. Collateral informants include friends, family members, professionals, semi-professionals, therapists, teachers, coaches, day-care workers, pediatricians and doctors, visitation supervisors, nannies, and individuals with special knowledge of a specific event. These collaterals should understand that their statements may be included in the evaluator’s report which is discoverable by both parties. With informed consent and voluntary assent obtained, the parents are ordinarily interviewed first. Although there is no rule, the evaluator typically interviews each parent two or three times, depending. These interviews involve two lines of questioning. Questions intended to elicit general responses about the child. (For example, in a post-decree modification involving relocation, the evaluator might ask each parent what he or she thinks the child needs emotionally, academically, socially, and psychologically.) And questions intended to elicit responses that go to the specific issue in the case. Using the relocation example, the evaluator might ask each parent what his or her view is of the other’s motive for desiring (or resisting) relocation with the child. Other specific issue-oriented questions might cover domestic violence, child abuse, or parental alienation. As with the parents, each child is usually interviewed two or three times or more. The interview must be conducted at an age-appropriate level and with each child individually, not with all of the children as a group. An evaluator must make observations. This means observing the child and parents together, which may require a home visit for young children under the age of six. Any number of documents may be relevant to the child custody case. The evaluator should review the court documents, criminal records, and any other documents that are pertinent to the case and purpose of the evaluation. The evaluator will receive a list of collateral informants from the parents or from the attorneys (both attorneys get the same collateral informant list). In Tennessee, the attorneys must agree in advance on the list of collateral informants that will be provided to the evaluator. If the attorneys do not agree, and frequently they do not, then the judge will be asked to rule on what material and which informants shall be provided to the independent child custody evaluator. Psychological testing and parenting questionnaires must be administered to the parents according to the test instructions and in an appropriate environment, essentially a quiet room that is private. The evaluator’s written report includes, typically, recommendations on which parent should be the Primary Residential Parent (PRP), which parent should have sole legal decision-making authority or whether legal decision-making should be shared jointly by both parents, and parenting time for the Alternative Residential Parent (ARP) under the parenting plan. The report should also address the parents’ other major concerns, such as specialized day-care for a disabled child. The evaluator’s recommendations which are believed to be consistent with the child’s best interests. This is the evaluator’s expert opinion on placement of the child. As discussed later, the court does not always seek the expert’s recommendations. The evaluator’s report is both a written assessment and an expert opinion on the child custody question. Always be mindful that the primary purpose of the evaluation is to assess the psychological best interests of the child which, in turn, assists the court in placing that child. The evaluator’s report should be legible, thorough, clear, objective, and neutral. The evaluator’s record keeping should be faultless, or as nearly so as possible. He or she must save all data from which conclusions were drawn. Anticipate the attorneys review of the entire case file; they will want access to actual records, interviews, test results, and raw test data. The attorneys will draw the court’s attention to any perceived flaws in the evaluation, something that could have a direct impact on the mental health professional’s credibility. All of the data, including raw test data, are discoverable in the current case as well as in any related future case, such as a post-decree modification. Anticipate review by other mental health professionals acting as consultants to the parties, too. There is always the potential for a battle of the experts, peers with differing expert opinions, methods, and conclusions. Will the Expert’s Recommendations on the Final Custody Determination Be Sought? As counterintuitive as this may seem at first blush, the court does not always seek the expert’s recommendations. More often than not, though, the court will. What does the court order appointing the expert say? If there is any concern or confusion about this, then obtain a court order clarifying whether recommendations are to be included in the final report or not. Debate lingers among mental health professionals and attorneys on whether evaluator’s should ever make recommendations on the ultimate question – that is, recommendations on placing the child with one parent or the other. Most attorneys say “No” to evaluator recommendations, mainly for two reasons: First, mental health professionals are not judges and should not attempt to make legal determinations; and, second, in the role of expert witness, the evaluator provides only some, but not all, of the evidence relevant to the custody question. Tennessee’s child custody factors clearly place responsibility for determining the child’s best interests on the court and no one else. The APA Guidelines leave the question – whether to make recommendations or not – up to the individual psychologist or psychiatrist. However, the evaluator should never make recommendations where the data or the evaluation does not support the recommendations. The evaluator as an expert witness can certainly form an opinion if a parent could serve as PRP. But an expert’s opinion and an expert’s recommendations are not the same thing. When the evaluator does make recommendations on the placement question, that expert advice must be limited to the child’s psychological best interests. If recommendations are made, what might they be? With regard to custody, advice on legal decision-making, parenting time, and who should be the PRP. Regarding a parenting plan, advice on parenting time and conflict resolution. In addressing identified problems, such as a parent’s alcohol abuse, advice on treatment. With regard to treatment, therapy for a parent or the child. Regarding parenting skills and child care capabilities, advice on parenting classes. The psychologist or psychiatrist might also recommend a schedule for re-evaluating a younger child at a later stage of development. As independent child custody evaluator, the mental health professional must provide “competent and impartial opinions with direct relevance to the ‘psychological best interests’ of the child.” This means there can be no conflicts of interest. The psychologist or psychiatrist should not take on a dual role as both evaluator in the family law case and treating therapist to a parent, to the child who is the subject of evaluation, or to another child in the family. Multiple relationships can impair the mental health professional’s “objectivity, competence or effectiveness” which, in turn, risks harm or exploitation of the patient being treated or who was previously treated. A conflict of interest arises when “personal, scientific, professional, legal, financial or other interests or relationships could reasonably be expected to (1) impair their objectivity, competence or effectiveness in performing their functions as psychologists or (2) expose the person or organization with whom the professional relationship exists to harm or exploitation.” If a treating relationship existed or exists between the psychologist or psychiatrist and a participant in the evaluation, then there is probably a conflict of interest. As “treater,” the mental health professional can testify as a fact witness with firsthand information relevant to the case. 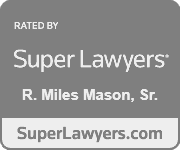 Absent exceptional circumstances, the treating expert on a patient (past or present) can maintain professional credibility and avoid a lawsuit later on by rejecting a second role as evaluator in a case involving that patient. Whether court-appointed or agreed to by the parties, the evaluator must remain independent and impartial when collecting and interpreting data. 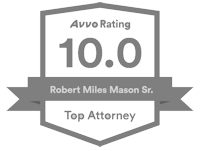 Objectivity is essential, so expect the attorneys to challenge any subjective conclusions. Neutrality is also essential. To ensure fairness, each parent should be given equal interview time. Neither parent should meet ex parte with the evaluator. Impartiality necessitates reflection and self-awareness of any personal bias (“age, gender, gender identity, race, ethnicity, national origin, religion, sexual orientation, disability, language, culture, and socioeconomic status”). The evaluator must self-monitor, maintain professional boundaries, and seek peer review when his or her personal “values, perceptions, and reactions” might obstruct or diminish impartiality. If personal bias cannot be overcome and neutrality cannot be maintained, then the mental health professional should ask to withdraw from the case. Any parental behavior or misconduct that could negatively affect the child. A party’s psychopathology, although not a primary focus, should also be assessed when relevant to parenting ability or if such psychopathology could impact the child. The independent child custody evaluator should also implement multiple data collection methods to substantiate the “reliability and validity” of his or her findings, opinions, and conclusions. Any failure to collect data from multiple sources will only invite challenge from the attorney looking to expose “erroneous conclusions, poorly founded opinions, and misleading recommendations” in the report with a corresponding attack on the evaluator’s credibility. The attorney may challenge the evaluator’s interpretation of assessment data, too. When assembling data, the evaluator should think in multiples, whether it be clinical interviews, collateral informants, psychological tests and psychometric tests, behavioral observations, or documents and records review. Multiple methods of psychological testing include, without limitation, the MMPI-2, Rorschach, Millon MCMI-III, TAT, and Sentence Completion Test. Each test has a specified purpose, way of administering, method of scoring, and result. Test results are always subject to professional interpretation in a courtroom battle of the experts. At every step in the evaluation process, the psychologist or psychiatrist should anticipate challenges to his or her professional work product. Attorneys look for weaknesses and vulnerabilities in the evaluator’s report, that is their job and most do it well. They know what can and cannot be reasonably learned from a test and may challenge the evaluator on any unreasonable conclusions. Furthermore, an attorney may dispute calculations and ferret out through witness examination what the evaluator relied upon in drawing conclusions. In some Tennessee cases, a party may have two consultants who serve different functions. One expert is in a confidential relationship with the party, will not testify, and whose report is not discoverable. The other consultant is the one who testifies at trial as an expert witness and whose report is discoverable. Is the report complete? Is there a significant flaw? Was the evaluation process conducted sloppily? Are identified weaknesses probative? Do they demonstrate unreliable conclusions? Were interviews with parents conducted in a balanced manner? Were they neutral, unbiased, and sufficiently in-depth so each parent could respond to other parent’s views? Did the evaluator ask each parent the same questions? Were interviews with the child age-appropriate, development-appropriate, and sufficiently in-depth to glean the child’s moods and relationship with each parent? Were case records and evaluation data properly integrated? Were collateral informants reviewed fairly? Were essential collateral informants contacted? Did the evaluator explain why certain collaterals were not contacted (redundancy, unavailable)? Was a log kept of phone and in-person contacts? Was data properly analyzed in forming conclusions and recommendations? Were multiple hypothesis considered? Was case data properly integrated into the report? Were recommendations logically connected and consistent with the data? Was any conclusion supported with inadequate or insufficient data? Did the evaluator choose only the data that supported a conclusion? Did the evaluator get the important facts correct? A significant factual error could render the evaluation useless. Is there any indication that the evaluator was biased, prejudiced, or discriminated? Did the evaluator misrepresent test results or incorrectly score a test? Once identified, flaws and weaknesses in the evaluation process minimize the evidentiary value of the report to the court and can diminish the expert’s credibility with the judge. Whether a psychologist’s or psychiatrist’s involvement in the family law case as independent child custody evaluator was by court appointment or by agreement of the parties, there are many pitfalls to avoid. To survive a courtroom challenge and be of greatest value in assisting the court in placing the child, every aspect of the evaluation must be handled with great care: assessments, data collection, interviews, observations, tests, documentation, interpretation, opinion, and conclusions. American Psychological Association (APA) Guidelines for Child Custody Evaluations in Family Law Proceedings (2010), Guideline-1. The Divorce Trial Manual: From Initial Interview to Closing Argument, by Lynne Z. Gold-Bikin and Stephen Kolodny, American Bar Association (ABA), Family Law Section (2004), citing previous APA Guidelines, p.123. APA Guidelines for Child Custody Evaluations in Family Law Proceedings (2010). The Divorce Trial Manual: From Initial Interview to Closing Argument, by Lynne Z. Gold-Bikin and Stephen Kolodny, ABA Family Law Section (2004), citing previous APA Guidelines, p.130. APA Ethical Principles of Psychologists and Code of Conduct (2010), Introduction and Applicability. APA Guidelines for Child Custody Evaluations in Family Law Proceedings (2010), Guideline-4. Forensic Psychology Consultation in Child Custody Litigation: A Handbook for Work Product Review, Case Preparation, and Expert Testimony, by Philip M. Stahl, PhD, and Robert A. Simon, PhD, American Bar Association (ABA) (2014), p.135. Children of Divorce: A Practical Guide for Parents, Therapists, Attorneys, and Judges, by William Bernet, MD, and Don R. Ash, JD, MJS, Krieger Publishing Company (2007), p.160. The Divorce Trial Manual: From Initial Interview to Closing Argument, by Lynne Z. Gold-Bikin and Stephen Kolodny, ABA Family Law Section (2004), p.133. American Psychiatric Association Diagnostic and Statistical Manual of Mental Disorders (DSM-5)(2013). American Academy of Child and Adolescent Psychiatry, Practice Parameters for Child Custody Evaluation, J. Am. Acad. Child Adolesc. Psychiatry 36 (10 Supplement)(1997) – update in progress. DSM-5 Handbook of Differential Diagnosis, by Michael B. First, MD, American Psychiatric Publishing (2014). APA Guidelines for Child Custody Evaluations in Family Law Proceedings (2010), Guideline – 9. Forensic Psychology Consultation in Child Custody Litigation: A Handbook for Work Product Review, Case Preparation, and Expert Testimony, by Philip M. Stahl, PhD, and Robert A. Simon, PhD, ABA (2014) p.136. Anatomy of a Child Custody Evaluation, by Philip M. Stahl, PhD, Family Advocate, A Practical Journal, American Bar Association (ABA), Family Law Section, Vol. 22, 1, Summer, 1999. Tennessee Code Annotated § 36-6-106. Anatomy of a Child Custody Evaluation, by Philip M. Stahl, PhD, Family Advocate, A Practical Journal, ABA Family Law Section, Vol. 22, 1, Summer, 1999. APA Guidelines for Child Custody Evaluations in Family Law Proceedings, Introduction (2010). APA Ethical Principles of Psychologists and Code of Conduct, Standard 3.05. The Divorce Trial Manual: From Initial Interview to Closing Argument, by Lynne Z. Gold-Bikin and Stephen Kolodny, ABA Family Law Section (2004), p.132. APA Guidelines for Child Custody Evaluations in Family Law Proceedings, Guideline – 6 (2010). The Divorce Trial Manual: From Initial Interview to Closing Argument, by Lynne Z. Gold-Bikin and Stephen Kolodny, ABA Family Law Section (2004) p.123, citing earlier APA Guidelines. 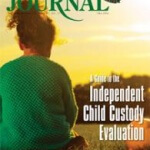 Anatomy of a Child Custody Evaluation, by Philip M. Stahl, PhD, Family Advocate, A Practical Journal, American Bar Association, Family Law Section, Vol. 22, 1, Summer, 1999. APA Guidelines for Child Custody Evaluations in Family Law Proceedings (2010), Guideline – 10. The Divorce Trial Manual: From Initial Interview to Closing Argument, by Lynne Z. Gold-Bikin and Stephen Kolodny, ABA Family Law Section (2004), citing prior APA Guidelines, p.132. Forensic Psychology Consultation in Child Custody Litigation: A Handbook for Work Product Review, Case Preparation, and Expert Testimony, by Philip M. Stahl, PhD, and Robert A. Simon, PhD, ABA (2014), p.147.